Jim Robinette @ United Country Robinette & Assoc. Jim W. Robinette, Broker for United Country Robinette & Associates, has over 30 years of experience in real estate here in the local Arizona market. This wealth of experience and contacts helps Jim provide local expertise along with the National and International resources of United Country Real Estate to our buyer and seller clients of United Country Robinette & Associates. 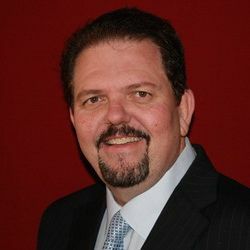 Jim Robinette is 2019 President of the Western Pinal Association of REALTORs and Director Arizona Association of REALTORS. Jim attended Arizona State University, Arizona School of Business & Real Estate, and Advanced Auction Training in New Orleans. Jim also holds many industry designations including CIAS, CDPE, GRI, e-Pro, and SFR. Jim has also served on the Board of Directors of Western Pinal Association of REALTORS. Jim’s vast experience in Real Estate and business help people buy or sell homes, commercial, land or ranches with less hassle, quicker close, and better price. For listing clients, we advertise their property nationally to a larger group of buyers. Buyers can search for properties nationwide at UnitedCountry.com. Whether buying or selling, United Country Robinette & Associates Jim Robinette should be your first call when buying or selling real estate. Specializing in Residential Homes, Luxury Desert Properties, Ranch land, Farm Land, Orchards, Horse Properties, Desert Homes, Retirement Homes, Golf Course Homes, Casa Grande Residential, Casa Grande & Maricopa Homes for sale.